A knowledge of Chemistry allows us to understand matter; what it’s made of, its properties, and its interactions and reactions. Scientists have been studying matter for more than 5000 years. 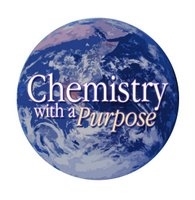 To read more about the history of Chemistry, click here. Royal Institution - Great general interest science activities, games & information. ‘Null Hypothesis’ - the journal of unlikely science. New Scientist - reports on how the latest research is changing our world. History of Science - timeline of discoveries. How stuff works - if you want to know how something works, ask a scientist. Interested in food & cooking? If you understand the science of food (or molecular gastronomy), you’ll be a much better cook.